Want to watch your favorite Frozen The Musical musical show live? Tickets4Musical is here to provide you cheap Frozen The Musical tickets. We have huge selection of Frozen The Musical tickets and you can select your seats according to your budget. Tickets4Musical is the best site to get discount Frozen The Musical tickets and all related info like Schedule, Seating Map, Tour Dates, etc. We have secure payment system and provides you 100% buyers guarantee. 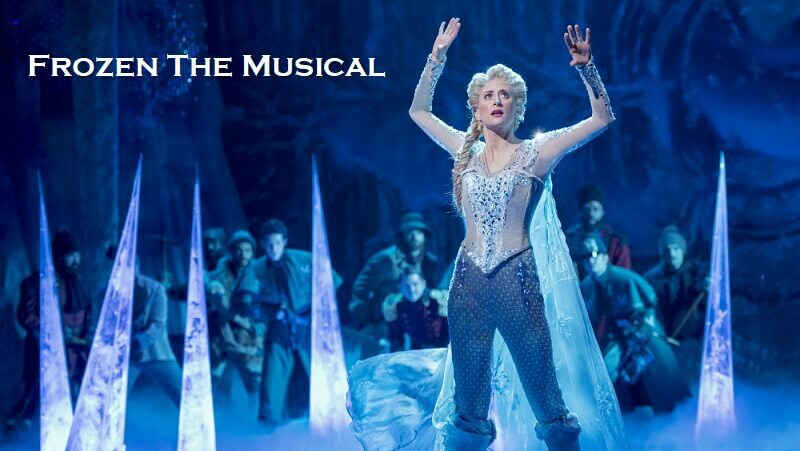 We also offer Frozen The Musical Discount coupon. You can use promo code FIESTA and get 3% discount on your purchase. Hurry Up and Reserve Your Frozen The Musical Tickets Cheap Now Before it Get Sold. Disney’s hit film, Frozen, is brought to theatrical life on a snowy stage by an award-winning composer and lyrics team Kristen Anderson-Lopez and Robert Lopez. Set around two estranged sisters, Elsa and Anna, this musical is a heart-felt tale of friendship, bravery, and loyalty. Frozen the Musical features many spine-tingling renditions of songs like the original “Let It Go”, “Do You Want To Make A Snowman?”, “In Summer” and “The First Time In Forever”, alongside new ones penned just for Broadway. The gorgeously crafted costumes, glistening winter wonderland set design and of course the fabulous cast immerse the audience to the Kingdom of Arendelle. Get your Frozen the Musical discount tickets today and get the chance to experience this adored story live.